Locating ironwork such that it avoids the wheel tracks of twin-track vehicles or on the outside of bends can inadvertently place them directly on the line used by motorcycles. This sudden change in road surface properties leads to stability problems. It should also be noted that water on service covers freezes faster than water on the surrounding road surface. If the cover cannot be relocated, it should have a surface finish compatible with the skid resistance of the surrounding road. Thermoplastic road marking material should be laid to an acceptable standard of skid resistance and retro-reflectivity. Further, road marking maintenance levels should reflect the fact that values often fall long before the road surface requires maintenance (see below). Large areas of such markings can present a serious safety hazard to motorcyclists. This risk must be balanced against a realistic assessment of any road safety benefits of using large areas of road markings. Best practice in street scene management requires auditing of street furniture to assess whether, for example, signs can be rationalised into single assemblies in order to avoid a proliferation of posts. This should be taken a stage further, with signs not presenting a collision hazard for a falling motorcyclist. If it is unavoidable to have street furniture in the ‘clear zone’, every effort should be made to make it as ‘impact friendly’ as possible. These can represent a serious hazard to a dismounted rider. More investigation is needed into aftermarket collision mitigation measures in locations where there is a higher risk of motorcycle loss of control (Chapter 3). This problem can mildly irritate a twin-track vehicle driver, but potentially cause a motorcyclist to suffer a sudden shift in balance, lose control and crash. Whenever possible, tie-ins should be perpendicular to the direction of, and across the whole width of, the carriageway and away from bends for which PTWs lean to negotiate. Motorcycles are machines that, to a point, become better balanced with increasing speed. Conversely, travelling at low speed can be more demanding of the rider and machine. Poorly located, designed or maintained traffic calming features can contribute to loss of balance, reduced control or even a crash (see Chapter 3). Vehicles tend to push surface detritus, chippings, broken lens glass etc into areas of the road they do not use. Motorcyclists may use these areas because it forms their ‘correct line’ or because heavier traffic has pushed them there. In either case, motorcycles require the road to facilitate grip or braking and areas covered in road detritus facilitate neither (see Chapter 6). Motorcyclists suffer sooner and more severely when surface water is not dealt with by carriageway drainage systems. Sudden changes in road surface properties on bends or junctions, especially skid resistance, can lead to stability problems as the rider tries to manage the change in dynamics and the response of the motorcycle. The transition between anti-skid surfacing on a bend and the adjacent straight section should therefore be on the straight section prior to the point where the motorcycle leans in order to negotiate the bend. These points are easily ascertained by on site observations of passing motorcycles. Transverse markings or “jiggle” bars. In terms of sudden changes in road surface properties, remember that road markings rarely have the same skid resistance value as the surrounding road surface. Markings in areas of the road likely to be used for braking or cornering by motorcyclists can significantly increase the risk of stability problems. 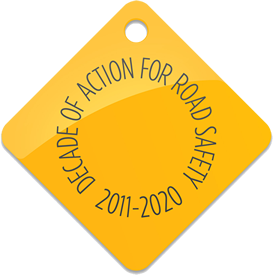 Relocation of the markings avoids loss of the general road safety benefit altogether. Using new marking materials and application methods, for example polymethylmethacrylate materials, which maximise good skid resistance and maintenance of retroreflectivity levels. The extra cost of these materials and methods should be assessed against the increased risk of injury and collisions. As only a last resort, providing warning signs at locations where mud is likely to be a recurring problem. Motorcycle headlights can be less powerful than other motor vehicles. Refer to guidance from the local authority street lighting team or the Institution of Lighting Engineers (ILE 1995). A higher sight line is beneficial for viewing the road ahead and any developing traffic. However, at RSA Stage 2 and Stage 3, it is vital to remember the motorcyclist’s increased eye height. An object may not obstruct a car driver’s view, but can obscure visibility for riders and other traffic with similar eye heights.